C&O Apparel is one of the leading garment producers in Canada. 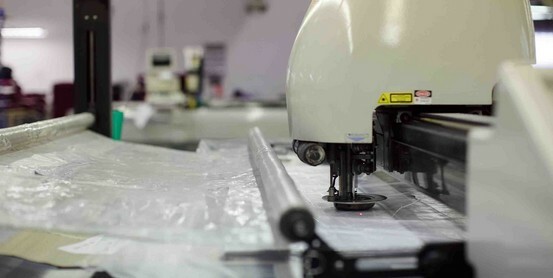 We are a full-spectrum manufacturer and have the capacity to handle merchandising, textile development, pattern development, cutting and sewing, embroidery, heat transfer labels, laundry, final finishing, and packaging, all in-house. Our 83,000ft² facility in Burnaby, British Columbia is a true study in efficiency. Productivity is boosted through the automation of plotting, spreading and cutting. We have developed a customized racking system for storing fabric, as well as a removal system and compactor for fabric waste after cutting. However, the key to our success is our dedicated staff who take pride in their work. Without them, all we would have is expensive machinery. Tap into the synergy of our highly skilled work force, state-of-the-art equipment, and superior customer service, and it’s clear to see that this incomparable combination gives us the edge in this competitive industry. In addition to producing garments for our own brands, we also manufacture private labels for retail clients around the world. To complement our Canadian manufacturing capabilities, we have also developed strong and reliable supply chains with apparel producers in Asia.